What do you think? 1.Removal of water loving species like sycamore and willow or aquatic plants is the best way to increase stream flow. True or False. Download ppt "What do you think? 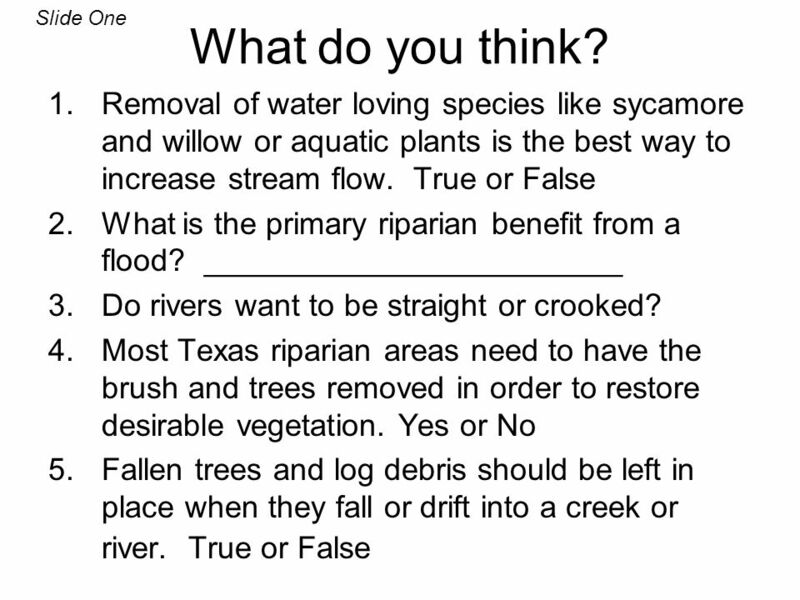 1.Removal of water loving species like sycamore and willow or aquatic plants is the best way to increase stream flow. True or False." Lawyer Creek Steelhead Trout Habitat Improvement Project presented by: Lewis Soil Conservation District. Perform Range Forage Inventory for Large Ungulates Confederated Tribes of the Colville Reservation, Cooperative Fish & Wildlife Dept. and Range Dept. Project. Little Canyon Creek Subwatershed Steelhead Trout Habitat Improvement Project Sponsored by: Lewis Soil Conservation District. Restore McComas Meadows /Meadow Creek Watershed Project # Restore McComas Meadows/ Meadow Creek Watershed Project # Nez Perce Tribe Fisheries. 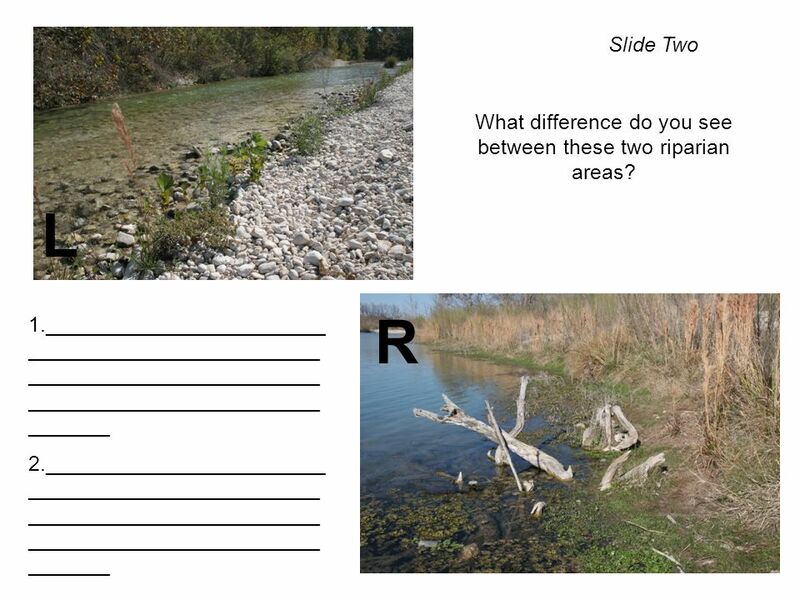 The Riparian Zone 9 th Grade EIC Lesson September 16, 2010. Kitchen Creek CREP & Stream Bank Stabilization Project Project Sponsors: Greenbrier Valley Conservation District West Virginia Conservation Agency U.S.D.A. Study the picture and the statements provided. Decide which statement you think sums up the picture by clicking on it. To reveal the right answer click. What plants do for us and the environment. 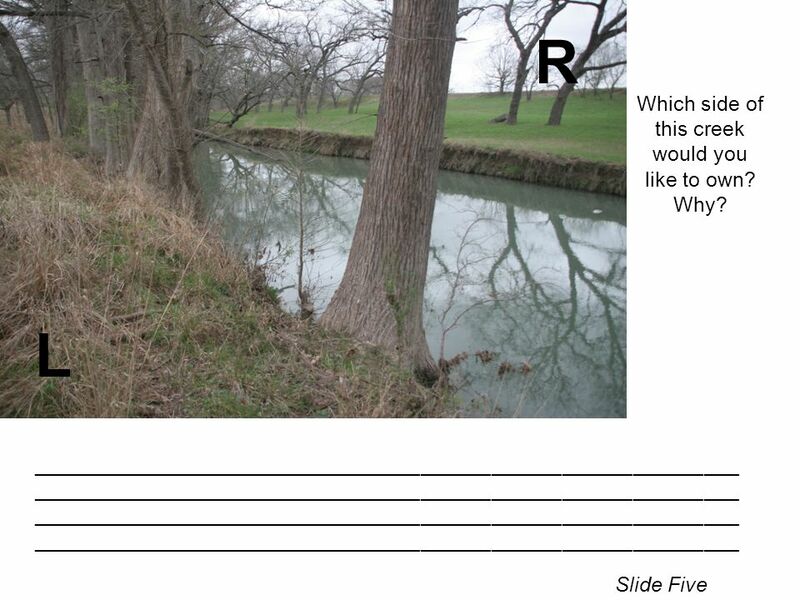 Get out a piece of paper and answer the questions in this powerpoint on it. This will be your homework for tomorrow’s. Stream Corridors Christine Hall Natural Resources Conservation Service North Jersey RC&D Slides 1-12. 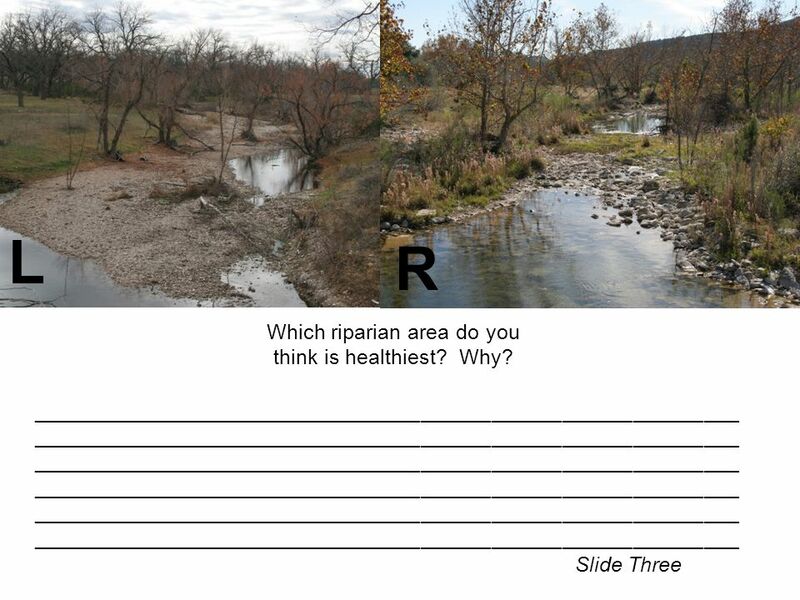 Riparian Zone Habitat Assessment Vegetation and More. Katherine Verbeke Pa Wetlands1 Pennsylvania Wetlands. Integrating State Action Plans and USDA Farm Bill Conservation Programs. 2010 Squak Valley Park Restoration Project City of Issaquah. Wildlife Management Principles. Goals What are some goals related to the management of wildlife habitats? Watershed System Physical Properties Stream flow (cfs) Stream Channel Pattern Substrate Chemical Properties pH Dissolved Oxygen Temperature Nutrients Turbidity. 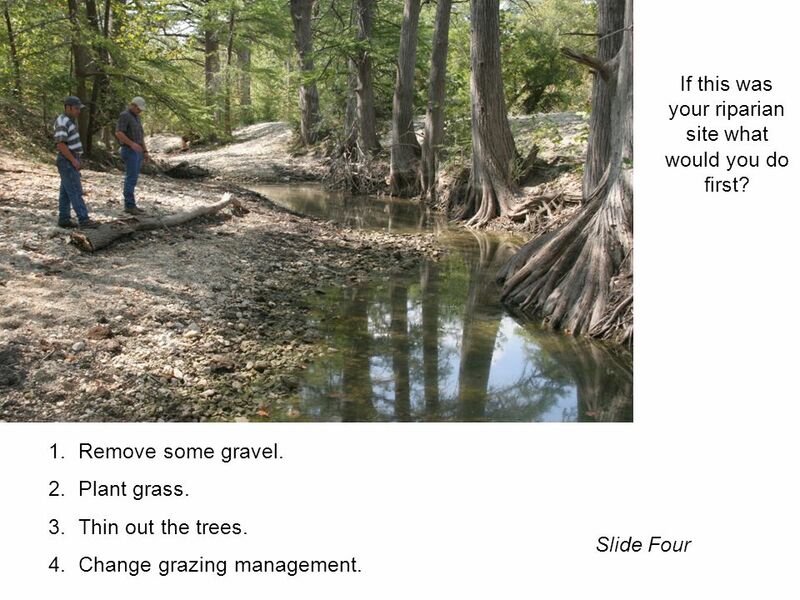 Grazing and Oak Trees Glenn Nader University of California Livestock & Natural Resources FA. Welcome! The Topic For Today Is… Soil. SOIL TextureStructureBMPsSoil SurveySoil Forming Factors FINAL JEOPARDY.